You want to bring about change, break new ground, rise to new challenges? You constantly strive for more? Perfect! We are looking for innovative people, clever minds and groundbreaking ideas. You are between 18 and 119 years of age? Female or male? An Austrian native or foreign born? You have gained exciting experience in your field? 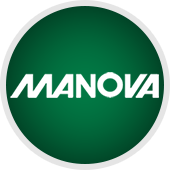 We look forward to receiving your application at bewerbung@manova.at for the areas of market research and analysis, data base and information sharing, software development or assistance.